It’s testimony to the program’s flaws and tedium that public discussion about the PBS “American Experience” documentary largely faded away within days if not hours after it was broadcast. The documentary revisited the famous radio dramatization of The War of the Worlds which aired 75 years ago and told of Martians mounting lethal attack on the United States. So realistic was the radio show that it supposedly pitched tens of thousands of listeners into panic and mass hysteria. That, of course, makes for a timeless story, and is a critical reason why the program is recalled and discussed unlike any other radio show. But the reports of panic and hysteria loosed by the radio show were grossly exaggerated by the newspapers of the day. As I discuss in my mythbusting book, Getting It Wrong, whatever fear the program may have stirred, it did not rise to the level of nationwide panic and hysteria. 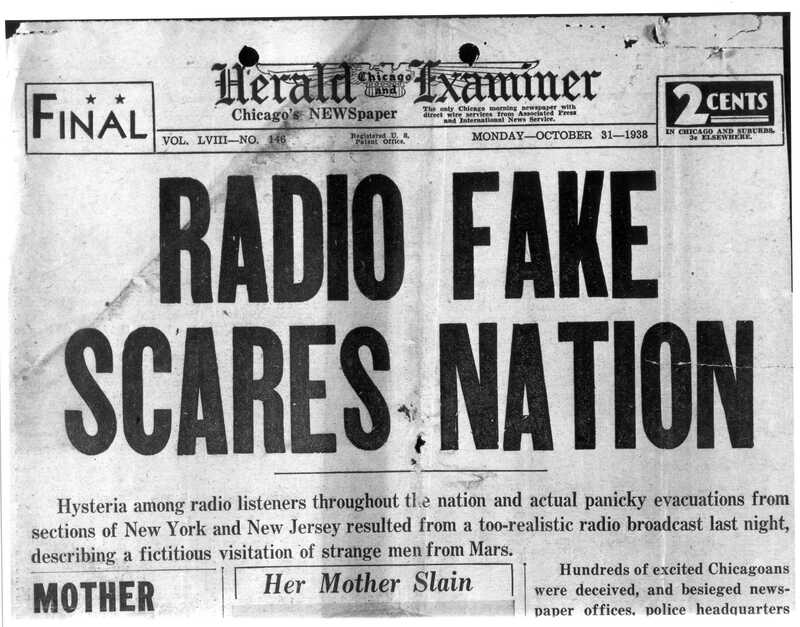 Eleven days ago, PBS revisited The War of the Worlds dramatization in a documentary notable for failing to confront the most important and intriguing questions about radio program: Did it set off panicked reactions across the country when it aired on October 30, 1938? If not, why is it so widely believed that it had such powerful and immediate effects? In ducking those central questions, the documentary was an opportunity lost. 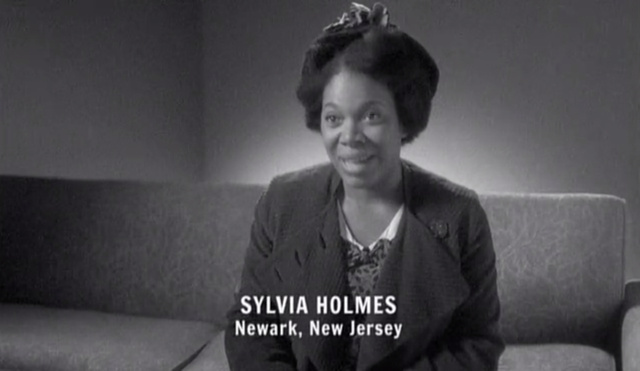 The PBS documentary prompted other criticism, too — including its use of cheesy recreated dialog spoken by actors clad in period clothing. Offering up a pseudonymous character and failing to identify her as such seemed to skirt those standards. It’s sloppy, though. It’s slyly misleading, and it’s hardly in keeping with a commitment to transparency. As such, it’s another dent in a documentary that was full of them. That’s quite true. But the documentary was more deeply flawed than that. Its makers, after all, ignored recent research that has impugned the notion The War of the Worlds program stirred mass panic. And in dodging the central questions of The War of the Worlds program, the documentary ended up confused and meandering, not knowing for sure what it was supposed to do. So it turned out to be part tribute to the radio program; part tribute to the radio show’s director and star, Orson Welles; part rumination about America of the late 1930s, and part digression about life on Mars. At least it won’t be regarded as a definitive treatment about what was a clever, memorable, and mythical radio dramatization. ‘Kane’ at 70: ‘More relevant than ever’? Challenge the dominant narrative? Who, us?